I've been a fan of SW since I was about five years old, and I consider my knowledge about Star Wars to be extensive. I haven't read any book(Because they don't sell them in my country, and if they do, I have yet to find one), but I've read a great deal about the SW Universe in Wookieepedia. I've seen all the movies(Yes, even the Ewok ones), and I've played a lot of the SW games, including: Kotor 1 and 2, Jedi Academy, Republic Commando, Battlefront 1 and 2, and others. I also read the wookieepedia often. Guild Name (Reason for leaving if applies): Order of the Rose. The guild disbanded after several internal problems. -Game: World of Warcraft and World of Warcraft: The Burning Crusade. -Server: Can't remeber exactly which one, I believe it was Moonglade, but I left to a private server shortly after joining WoW. I had other characters, but Artrek was my main. Order of the Rose was a Latin PvP-RPing Guild. I was a member since it's inception, and became a high ranking officer, serving as Lore Master, Strategist/Tactician, and part time Recruiter. I also helped coordinate a few attack on Horde Cities, most notably Undercity. I was with them for about 3 and a half years. OOC, I could take the role of a Lore Keeper, or more fitting, Archivist or Scholar. I can also provide help with recruiting. In-Game, I could be Strategist/Tactician, Pilot(Depending on the Space Combat mechanics), or any kind of vehicle combat for the matter(Love Vehicles); Scout, Recon or anything like that. I could also, after familiarizing with TOR mechanics, planets and leveling system, help new recruits with quests or any annoying Empire member that dare to gank them. But I'm also open to any position that I'm seen fitted for. 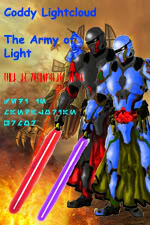 Army of Light looks like a very mature guild, with a lot of involvement from it's members. When I look for guilds, the things I like the most are RPing and a fun enviroment and people to play with. It also has quite a number of members, meaning that it's more likely to succed once TOR comes out, and I like the structure of it's ranks. Just by looking a little bit, it looks like a great guild, and I would love to get to know it better. I expect commitment from it's members and leaders. I expect a place when there can be civil discussions without turning into drama. I expect a guild that has an orginazed RP system and that it's commited to it. But, the most important thing, I expect a guild where I can have fun. 9. Time Zone:* GTM -4:30, Venezuela Timezone. One easy example to check I can give you is the Seibertron site, a website about Transformers. I RP there for a few months, under the name of Blackstrike, but I left due to issues IRL, and haven't returned becuase I don't feel like RPing there for a while, but due to my personal choice, the site and people there are great. About what I would like to do in a RP, my favorite types of RPs are Recon type of missions, Black Ops, Infiltration, Search and Destroy. Things like that. When I RP, I don't have many requirements from people, after all, we RP to have fun, and everybody has different ways to RP. But, I don't I don't like at all are one or two line post or something similar, unless there is a really good reason to. Grammaticals erros don't bother me much, after all, we all make mistakes, although there is a limit. I have a lot of experience with PvP, and I've, as some have said, a great talent for making strategies for almost any kind of battleforce, this having honed through years of playing RTS. I also try to help whenever I can, be it helping new members level their characters, trying to solve a dispute, helping with the recruiting process, or anything needed. Outside the game, I have to admit, my guild helping skills are few. I have no drawing talent(The drawing talent skipped my generation in the family ) and my knowledge with computers isn't really high. A quality members must be willing to help the guild, respect the opinions of everybody, behave, create no drama, be mature and laugh once in a while. Through the TOR forums, after searching through several guilds. Yes, I've read the Guid Policies. I will not spam, harass, use foul language nor attack any member in any form. I will show maturity, respect and common sense in my posts. I will respect everybody's opinions and respect the admins and mods descicions. Yes, I will behave with full maturity and respect, and will not create a drama. that you embody the qualities of Respect, Honor, Loyalty, and Maturity? Respect, Honor, Loyalty and Maturity. Four words that are necesary to succed in Real life as a person. I will show them, respect my fellow members, show loyalty to the guild, and maturity in my post. I'm from Venezuela, I'm 15 years old, and I'm currently in the last year of highschool. I'm very easy going, and will make jokes now and then, but when things require it, I will be serious. I'm respectful and calm, and very patience. I like reading a lot, and I've read several Science Fiction books(Sadly, not a single SW one). I'm a gamer since I was about 6, and RP since I was about 9-10. After I graduate, I'm planning to study Engineering, probly mechanics. I also enjoy walking on the beach during sunsets . Vance likes to joke around, always with a smile on his face. He always has to have the last word in a conversation, even if he has to repeat "bye" ten times. He's corageous, and very loyal to his companions. He also loves things that go boom. He's tall, 6'2", and weights 93 kg. He has very toned muscles, and strong arms. He has black, short hair, with brown eyes and a trimmed goatee. He lost part of his right arm, from his elbow, and now is replaced with a mechanical prosthesis. -Character Biography: I'm still working on it, but from what I have, he has around 28 years old, is from Corellia, and one of his parents was a militar, but that's about it. He's human. Nice application. Good to know I see eye-to-eye with the hordes of applicants that swoop in here. Excellent application! The Recruitment Council or the Grand Master will get back to you within 48 hours! On a personal note, I'm glad to see another pilot join the guild. I've always been an aviator in most of the games I've played and was supremely disappointed when space combat was revealed to be little more than a rail shooter for TOR. Had my fingers crossed for something closer to SWG: JTL. Nice app, look forward to getting to know you. And I agree with Vyynn about the space combat and flying. It's rather sad that it's not going to be SWGesk. Anyway, We'll get some good RP in. If you have any questions, don't hesitate to shoot me a PM. Yes, everytime I can, I always go for the Flying Vehicle. Some of my greatest gaming moments are of my piloting a X-Wing on Battlefront 2. Great times. I was dissapointed too when Bioware announced that the Space Combats was going to be a glorified Rail Shooter. Never played SWG, but I've heard it's Space Combat is pretty good. Battlefield 1942, Battlefront 1 and 2, Rogue Squadron, Tie Fighter, even Halo. Pilot, or always driving a vehicle of any kind. Sure, thanks. Looking forwards to get to know you all. Great application, good luck. I really hope they decide to change the space system in this extra time. But it probably won't happen. Thank you. And we can only hope. Thank you, I can't wait to RP and get to know you all. Thank you for taking interest in the Army of Light, and waiting patiently for results. I would like to congratulate you for becoming a trial member of the Army of Light. Trial Membership is a minimum of one week. Welcome to the guild! Place [AL]Initiate (Jedi), [AL]Recruit (Trooper), or [AL]Mate (Smuggler) depending on your class. Great application! You'll be a full member in no time. I'd just like to put 2 things. 1. Welcome to the guild Vance! 2. There is little detail on space combat...maybe there will be more to it. We can hope! Congrats on the acception. Well deserved. About the Space Combat, we can only cross our fingers. Looks like a rail shooter to me. I died a little the first time I saw that video. What I meant was that, maybe, in a future expansion, they could improve it. Make it awesome. I died a little the first time I saw that video. We'll see. Sort of like how SWG had Jump to Lightspeed. Jump to Lightspeed was pretty awesome though. 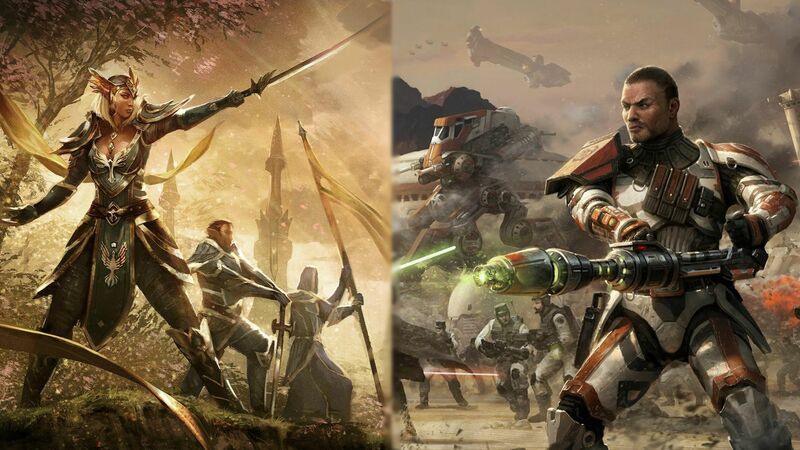 What TOR has come up with as a de-evolution back to 1990's video gaming, mainly the Republic Assault games. Quite disappointing if you ask me.